Americans do not like having our standard of living in the United Nations’ crosshairs, especially considering we pay 22% of its $2.5 billion regular budget, plus 27% of its $9.5+ billion peacekeeping budget. Since 1987, the UN has plied a borderless issue called “sustainable development” to demean American lifestyles and demand economic, social and environmental “justice.” They use it to agitate class warfare and control the behavior of people, businesses and organizations. It is the UN’s cure-all for the world’s real and imagined problems including global warming/climate change, poverty, conflict, etc. The 1997 Kyoto Protocol was the UN’s first major sustainable development conquest, putting mandatory caps on greenhouse gas emissions in only 37 industrialized countries, intended to force moving industrial wealth from rich to poor countries. Even though the U.S. Senate did not ratify that treaty, former President Bill Clinton created the President’s Council on Sustainable Development that uses federal grants to infiltrate every classroom and countless local governments with sustainable development. The UN has a new weapon in its sustainable development arsenal: government benchmarks for “consumption and production.” Targeting 1.4 billion “rich” people in every nation, it accuses them of greedily consuming 80% of global output. 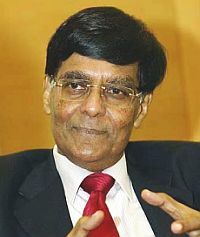 The proposal’s author, Mohan Munasinghe, a native of Sri Lanka, is Director-General of the Sustainable Consumption Institute at the University of Manchester, U.K. As vice chair of the International Panel on Climate Change, he shared the Nobel Peace Prize with former Vice President Al Gore. His proposal, called “Millennium Consumption Goals: How the Rich Can Make the Planet More Sustainable,” would replace “unsustainable values like greed...especially among the young” with government benchmarks for consumption and production. At the May PrepCom for the Rio+20 meeting in New York City, a proposed 10-year “Framework of Programs” for sustainable consumption and production was rejected, so Munasinghe’s site is now set on the 2012 Earth Summit, Rio+20, in Rio de Janeiro, Brazil. Americans must elect a new president in 2012 who rejects sustainable development’s Marxist intentions and will eliminate all federal grants that advance it.